With the growing popularity of outdoor living spaces, merging indoor and outdoor spaces is a must no matter the size of the home. If you are yearning and dreaming of a new deck, screened in patio or other outdoor structure, choosing a builder with decades of experience and a reputation for quality, Gettum Associates is the solution. 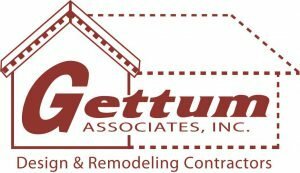 Gettum Associates, a full-service, design/build remodel contractor has operated in the same building for more than 30 years. The family owned business is operated by Phil and Jason Gettum, says second generation owner Jason Gettum. Gettum knows that an addition to your home, whether indoors or outdoors, is an investment. So, they provide an in-house designer to help determine the best design that will complement your home’s exterior. “Our goal is to make it blend in and make it look like it has always been there,” Gettum says. The benefit Gettum shares to having a designer on staff is that it will save their clients time and money because they do not have to wait for answers from an outside contractor. With 3D capabilities, the designer can provide a very realistic picture of the end product, and if the client changes their mind, the process is streamlined because the staff is right there. Each project has a designer and project coordinator to ensure that the end result is what was promised. And because Gettum is committed to quality, they offer a five-year warranty that is standard with any remodel project they do, which offers peace of mind that the job will be done to their customers’s satisfaction. “Ultimately, we are looking to earn your trust and business for the long haul,” Gettum says. For more information, visit them online at gettum.com and or give them a call at 317-542-3853.